April 6th, 2017: Seedstars World, the global startup competition in emerging markets organised by Seedstars, brought its 2017 round to a successful close at the Seedstars Summit, hosted at the SwissTech Convention Center in Lausanne, Switzerland. After travelling to 65 different countries to find the best seed stage startups, the Seedstars team invited the local winners to the final round to compete for equity investments of up to USD 500'000, as well as other exciting prizes. After participating in a two-day bootcamp and an investor forum, 12 startups were selected to compete and pitch on the main stage, in front of a crowd of 1000+ participants and a panel of international jury, consisted of Charles Lorenceau, Director at ACE & Company UK, Cedric Waldburger, CEO at Tenderloin Ventures and Pierre-Alain Masson, Co-founder at Seedstars Group. 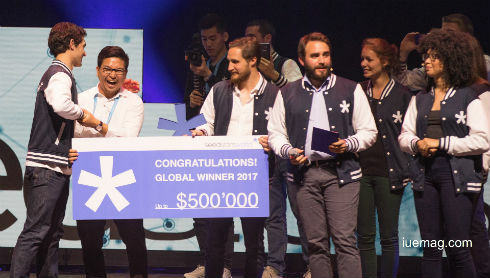 The grand winner of the fourth edition of Seedstars World was Acudeen Technologies, from the Philippines. - Asafeer Education Technologies from UAE was awarded the TRECC Transforming Education Prize, a grant of USD 50’000, presented by TRECC. - UnDosTres from Mexico was awarded the PayU Fintech Prize, with full access to the Seedstars Growth program and five tickets to a Silicon Valley fintech tour. - qAIRa Nano + from Peru was awarded the prize for Best Woman Entrepreneur, presented by Hublot. - PiQuant from South Korea was awarded the prize for Most Innovative Startup, presented by Hublot. VIAGlobal, the US Launchpad for International Startups, presented the Virtual Presence Prize for US Expansion to Democrance and REDOXIGEN at the Seedstars World Investor Forum, both startups will receive 12-months of VIAGlobal’s Virtual Presence services, which provide an economical solution for companies that want to expedite a commercial presence in the U.S. without moving personnel immediately. Over the course of the Summit and its inclusive activities such as the Bootcamp and Investor Forum, the participants got a chance to meet many ambassadors, speakers, investors, ecosystem enablers, government officials and inspiring start-ups from across the world. The Seedstars Summit also featured a broad range of workshops that probed different topics from agriculture and healthcare to investment and e-commerce. The workshops were filled with live discussion in groups to determine the exact step-by-step actions and solutions to tackle the problems indicated in the topics of the workshops. Keynote speeches were presented by Bob Collymore, CEO at Safaricom on “Opportunity or Challenge?”; Richard Eldridge, Co-Founder & CEO at Lenddo on “Beyond the Beach”; Kamran Elahian, Innovation Catalyst, serial entrepreneur and philanthropist on “iTechpreneurship in AMENA: Create Chaos to Avoid Chaos?”; Opportunities in SE Asia”; Gary Urteaga, Founder at CinePapaya on “My Startup Journey from Peru”. A fireside chat “Hunting Ground for the World's Best Developers” featured Alexander Galitsky, Co-Founder & Managing Director at Almaz Capital and moderated by Alex Barrera, Co-founder & Editor at tech.eu. Seedstars also officially launched Seedstars Community, a network of startup ecosystem enablers and doers across emerging markets. The community will connect Seedstars World peers with each other and potential customers and service providers. - With Merck Group, to source the most innovative seed-stage companies with a focus on the fields of healthcare, life science and performance materials across MENA and Africa. The chosen companies receive office space in the respective accelerator location – the Merck Innovation Center in Darmstadt or the Metta in Nairobi. Besides workspaces, startups in both programs receive mentoring and coaching on a regular basis, from a pool consisting of more than 50,000 experts from 67 countries. Furthermore, the teams get financial support of up to €50,000. - With BBVA Group, for the 3rd time in a row, Seedstars will source the best Fintech startup, particularly in LATAM. Winners will then be supported by both BBVA and Seedstars to grow their businesses to the next level. Seedstars is a Swiss based group of companies which has the goal of impacting people’s lives in emerging markets through technology and entrepreneurship. 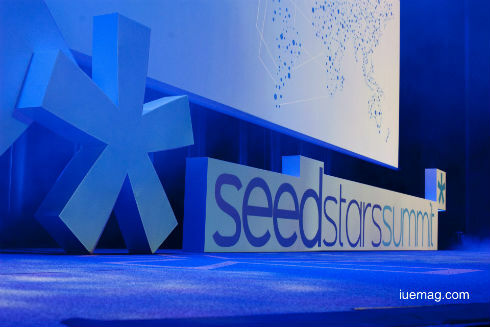 Seedstars connects stakeholders within these ecosystems, builds companies from scratch with public and private partners and invests in high growth startups. Through different activities of startup scouting, company building and acceleration programs, the team has now access to entrepreneurs, investors, incubators, corporations and government officials from 60+ countries. Any facts, figures or references stated here are made by the author & don't reflect the endorsement of iU at all times unless otherwise drafted by official staff at iU. This article was first published here on 28th April 2017.